any Interior is a regular occurrence in most vehicles. The damage can include tears, cigarette burns, stains, or offensive odors. We are well trained in repairing such damage and making it virtually undetectable. 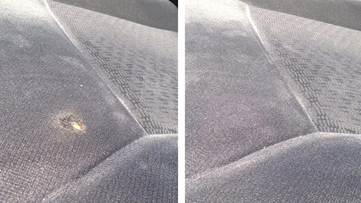 We use various techniques and products, like replacing carpet and cloth and repairing damaged plastic, to enhance the look and smell of your vehicle interior while saving you hundreds of dollars in the process.